6 Essential Tips from 6 Years of Selling Handmade on Etsy — Dear Summit Supply Co.
No one can deny that Etsy.com is the internet's leading marketplace for handmade goods, with its vibrant community of artists, designers, and makers of every sort of good imaginable. Etsy makes it easier than ever to start a handmade business, with their user-friendly systems and low costs. But as easy as it is to get started, there is a steep learning curve if you want to find true success in selling on Etsy; I've been at it since 2009 with my adventure brand, Dear Summit Supply Co. and I've learned a ton since then about what can make or break your efforts on Etsy. Be sure to read my follow-up post, 6 Tips to Build Your Handmade Business, once you're finished reading this one! This is a big one. When I started, I was seriously underselling my work, and it not only hurts me as the maker, for not paying myself fairly for my time and expertise, it also hurts my community and the world of selling handmade as a whole. You see, by underpricing, I was sending out the signal that my work wasn't worth much, and the seriously low prices of my leather journals makes people wonder about the much higher prices of other people's leather journals and whether those people are trying to rip someone off. It undercuts everyone to underprice. Basically, calculate all of the material expenses for your item (your yarn or leather, or fabric, or electricity, or whatever material commodity goes into each item you're selling). Then calculate the time involved in creating the item and what that time is worth. (If you're a beginner, you might pay yourself $8-$10/hour, or if you're a recognized genius-master, maybe you're lucky enough to pay yourself $100/hour or more.) Add those two amounts together, and you have the cost to produce your item. Now double that and you have your wholesale price. Double it again, and you have your retail price. Or, a slight variation is to calculate the time and material costs involved in creating your product, then decide how much profit you need to bring in for each item in order for your business to be sustainable (to be able to invest back in your business, save for taxes, buy new supplies or equipment, etc. in addition to paying yourself). Add the profit amount to your time and material costs, and you have your wholesale price. This way you can still make a sustainable profit when wholesaling, and an even better profit when you double your wholesale price to get your retail price. 2. Selling handmade can be a hobby or a business; it can't be both. Selling as a hobby looks something like this: you enjoy making baskets, and your friends say to you, "hey, you're really good at that! You should sell those on Etsy." And you figure you'll give it a shot; it gives you an excuse to keep making them and maybe the extra income can pay for your supplies and have a little left over. You get to make baskets when you want, and have the satisfaction that people are paying you to do it. You're not trying to earn a living, just some side income from making and sharing something you love. Your hobby pays for your dessert. Selling as a business, on the other hand, looks something like this: you enjoy making baskets, and you want to make baskets that are unique enough so that you can sell them for profit. You probably want to do this work full time, which means that you will have to make baskets even when you don't want to, or don't feel so inspired as you'd like. You pay close attention to your accounting - making sure you are actually profiting and paying yourself for all of your hard work. You're taking the idea of making baskets and running with it, you want to see how far it can take you. Your business pays for your entire meal. A hand-printed t-shirt from my shop, Dear Summit Supply Co. If you want people to take your shop seriously, you need to "know thyself." Know your mission statement and the purpose of your business. If you don't, your shop might appear to be a jumble of random types of products whose only link to each other is that they're all made by the same person. I didn't really start wrestling with this one for real until a few months ago. I knew I wanted to make stuff, and I wanted to make money, but I didn't really know the true WHY. I wasn't considering how my business impacted (or could impact) my customers, or even the world at large. But now, after a lot of thinking, soul searching, and then thinking some more, I finally have a mission statement, or tag line, for my business that I am happy with. "Leather Journals + Gear for Outdoor Adventures" - it speaks not only to the work I do, but who my customers are and how I want them to relate to my work. 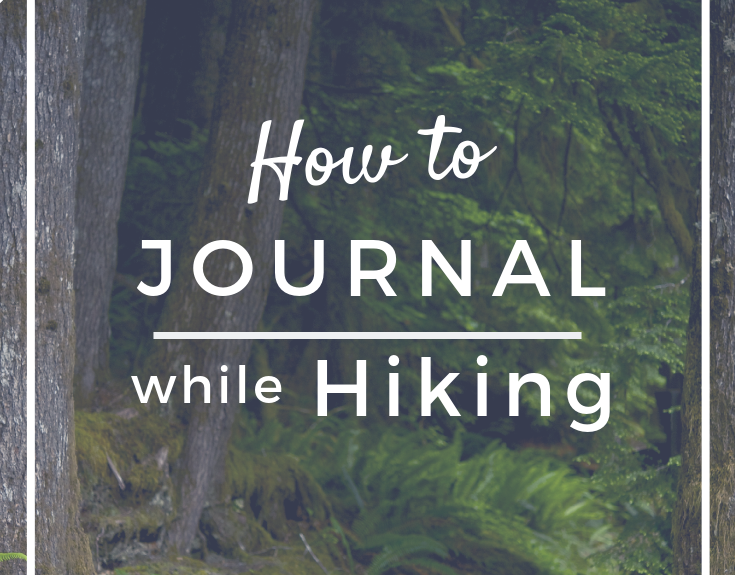 I want them to see my journals and get excited about journaling and sketching, whether in their backyard, or on a mountainside trail. I want to make sturdy goods that make adventuring more meaningful and fun. So, how about you? Are you setting out to help end world hunger by donating a portion of your profits to charity? Are you providing fresh and clever nursery decor? Are you getting people excited about travel via your photography prints? It doesn't matter what your goals are for your business, whatever the purpose is that drives you to do what you do and make what you make, you need to know it. Once you know why you are selling the product or service you are selling, you can present a more cohesive picture to your customers. You can't define your target market (your ideal customers) if you can't define yourself. Once you have your shop's purpose figured out, your shop will make sense when people find it for the first time. Potential customers will be able to catch a glimpse of your amazing vision and they will want to be a part of it (and buy your stuff)! Note: Don't worry too much if you're having a hard time with this one right now. It can take time to percolate. Also, don't let it be what stops you from even starting; you often have to start creating to figure out why you're creating. Austin Kleon put this perfectly in his book on sharing your creativity, Show Your Work, when he said, "you can't find your voice if you don't use it." Etsy changes frequently. One easy way to stay on top of these changes is by subscribing to receive their Etsy Success Emails. They're great at informing their subscribers about upcoming changes in Etsy-land, as well as sharing helpful articles on how to improve your shop's success. There is lots you can do on your own, too. Frequently look over and update your product listings. Trust me, no matter how good your product listings look when you first hit the "Publish" button (and wow, they do look good! ), they can always use some more work. There are four main aspects of your product pages that can probably benefit from regular tweaking and experimenting: Titles, Tags, Descriptions, and Photos. Example of clear and bright product photography from my shop, Dear Summit Supply Co.
Etsy isn't eBay. There's no reason your product photos should look anything less than professional. Don't worry, you probably don't even need a fancy DSLR camera; chances are, the camera on your phone is fancy enough. For instance, I use my iPhone for all of my photo taking and editing. Eventually, I'd love to have a fancy "real" camera, but the phone takes high quality photos and there are some really great editing apps out there. With enough experimenting, practice, reading articles on how to improve your product photography, practice, and more practice, your photos can look amazing. Great product photos are free of too many distractions from your beautiful product, in focus, and well lit, clearly showing the item's size, details, and features. It should be easy to tell what your product is from the primary/cover image, and the other photos should focus on details or other aspects. For indoor photos, I use a white foam board background, using indirect sunlight near a window, often on cloudy days and usually in the afternoon. Outdoors, clouds are a must to diffuse the bright sunlight and cut back on harsh shadows or highlights. I use a handful of props to hint at the lifestyle associated with my products (a compass, map, or other outdoorsy gear that would go on a hiking or camping adventure). This also plays hand in hand with my previous point: always update. You will only keep getting better at product photography the more you do it, so keep going forward with it! Just yesterday, I re-shot photos for more than half of my own listings on etsy because they were poorly lit or cropped, or were just an older style that didn't match my newer look anymore. 6. Start building your email list NOW. This is THE most important thing I can say about selling handmade. You see, a list of customers and future customers is one thing that you can actually own in the internet world. You don't own your etsy shop; etsy does. You don't own any of your social media accounts, Twitter or Facebook or Instagram (or whomever else) own those. They can choose to kick you off and delete all traces of your accounts any time they wish. Yes, it is unlikely, but crazy stuff like this does happen sometimes. And if your etsy shop were to be deleted, or your social media accounts frozen, you would lose your entire customer base, testimonials and reviews, and any sense of your brand's history. You would be stuck with nothing and you would have to start completely over. If you have an email list, however, then you still have a group of loyal fans who are going to stay right with you as you rebuild. You might not be so doomed as you thought. Plus, with an email newsletter, you get to go directly to your customers, rather than hoping they will come to you by browsing your shop or social media posts. Its almost like sitting down to coffee with them and getting to talk with them about what you've been up to, or what exciting things are upcoming for your brand. But if you're like me, you're probably thinking, "I'm just an etsy seller, what could I possibly have to say that is interesting enough to email people about on a regular basis?" And, unless you have a blog or other website off of etsy, you probably have no idea how to get people to sign up, either. But, if you are proud of the work you do and if you think it is valuable enough for people to pay money for it, then you should be able to send an email about it once in a while, too. Get creative about getting people to sign up; maybe outright ask if they'd like to be added to your list in your message that goes out automatically to every buyer. Maybe add a link to a sign up form on your shop's About page. Put it in your shop announcement. I use Mailchimp, and they make it super easy to set up multiple ways for folks to join your list. But, how ever you go about growing your list, just don't ever add people without their permission. That's a huge turn off and a big no no in Internet Land. 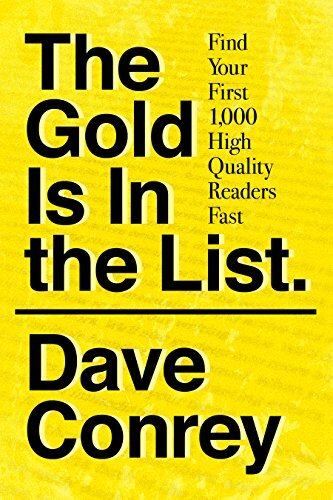 A huge help for me has been Dave Conrey's book, The Gold is in the List. He takes you from absolutely zero knowledge about email newsletters, through every aspect of starting, writing, sending, and most importantly, getting your ideal customers to sign up. Dave's book is full of amazing insight and I highly recommend it! But seriously, just get your list started. You'll figure the rest out along the way. Starting and running a successful shop on Etsy is a big undertaking, but the hardest part is often the very beginning. Get a jump start on your new shop with your first 40 listings for FREE when you use this link! UPDATE: I've written a whole new post with six more tips for building your handmade business. Click here to keep learning how to win with your business! This post contains affiliate links. That means that if you purchase something through my link, I'll receive a small commission, at no extra cost to you. Thank you so much for your support! What do you think? Was there something I didn't mention that you wish you had known when you started out? Something you wish you knew now? Share it in the comments! I'd love to hear what you think, and I might cover it in a future post!